In Italian popular culture, the rich man used to be British, then American, now he is Arabian, Russian or Chinese. The British rich man was a gentleman making his Grand Tour, the American was often an Italian expatriate, the Russian is a tourist. The Arabian and the Chinese do not even visit Italy, they are foreign customers. It is not a surprise, therefore, that the Milan Stock Exchange slid after China twice devalued its currency, signalling a weaker economic growth and its descent in the arena of the global currency wars. The slump in Milan was suffered particularly by the shares of the luxury brands, which have been busy targeting the new Chinese rich. Furthermore, the Italian newspaper La Repubblica reports that the Italian (and French) luxury brands have already been damaged by the anti-corruption campaign launched by the Chinese Government. The top officials of the Chinese Communist Party are now avoiding the purchase of luxury goods, which could draw attention from the Authorities or the public. 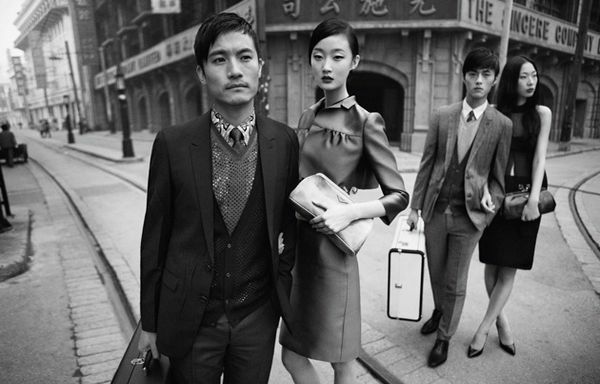 Tags: China, Italy, luxury brands, Milan Stock Exchange, shares, slowdown, yuan devaluation. Bookmark the permalink.